DURHAM, N.C., Sporting Alert – No. 6 Duke men’s basketball returns to action on Wednesday against William & Mary and all eyes will be on Mike Krzyzewski’s game day roster. The Blue Devils (4-1) who fell five places in the latest AP Top 25 rankings after losing 77-75 to Kansas in the State Farm Champions Classic last Tuesday, but rebounded at the weekend with two straight wins to get their season back on track. However, the preseason No. 1 team has been without freshmen Harry Giles, Jayson Tatum and Marques Bolden, but it is understood two of the three players could return this week. Coach Krzyzewski admits that he’s running short on healthy bodies, but said he will not rush back his talented newbies so as to give them sufficient time to heal. Giles, who did knee surgery in October, has been doing some individual sessions but is still weeks away from being ready. At the same time, though, Tatum and Bolden have been recovering well and could be available for Wednesday’s game or maybe against Appalachian State on Saturday. 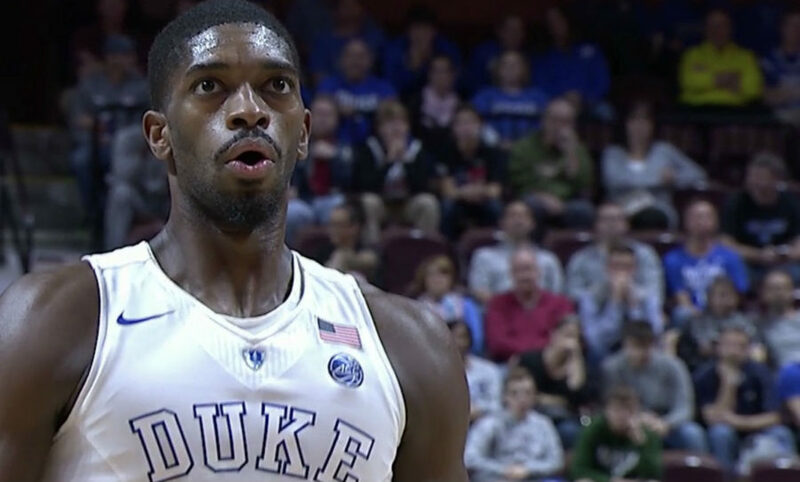 Duke heads to Cameron Indoor Stadium to start a season-long four-game home run. The Blue Devils will be facing William & Mary for the first time since 2000. Duke heads into the contest searching for its 128th consecutive non-conference home victory, a streak that dates back to 16-years-ago. With Giles, Tatum and Bolden continuing to be uncertain, and Grayson Allen and Chase Jeter both carrying foot injuries, the likes of seniors Matt Jones, Amile Jefferson, freshman Frank Jackson and Luke Kennard are expected to carry the bulk of the weight. Meanwhile, after suffering a 91-58 defeat to Louisville in its second game on the season, William & Mary recovered with an 89-59 win over Presbyterian on Saturday night. Daniel Dixon led the Tribe (2-1) with 20 points, while Jack Whitman added a career-high 16 points and six rebounds in the win. Dixon is averaging 12.7 points per game for William & Mary this season.